Between 12th -13th December, project partners attended the kick off meeting of a new Erasmus + project in Madrid (Spain). 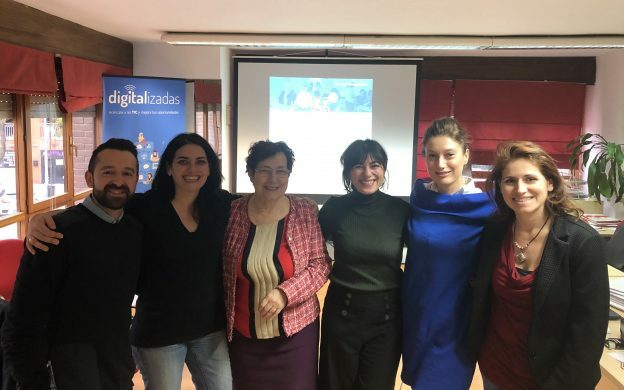 Emprendedoras Innovadoras TIC- EITIC (2018-1-ES01-KA204-050990) brings together a strong partnership with organizations from Spain, Italy, Norway and Romania with an innovative approach to promote initiatives leaded by women. Promote and showcase good practices of innovative women entrepreneurs coming from vulnerable groups and/or rural areas, able to use all kind of digital tools and services at their reach, in order to generate opportunities and stimulate the development of new and alternative solutions to unemployment and entrepreneurship. Foster and improve entrepreneurship, employment and entrepreneurial spirit of women in vulnerable groups and/or rural areas through training in the use of technological toolsand services, provided by facilitators, who will be themselves coached and mentored in order to provide the training. Publicat în categoria Noutati pe decembrie 20, 2018 de admin.